Idiom meanings are sometimes easy to understand and sometimes they are very difficult. An idiom is a group of words whose meaning is different from the individual words if you looked them up separately in the dictionary. 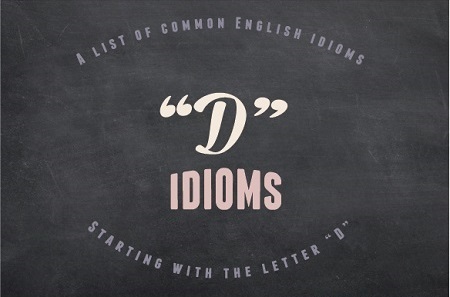 This list of English idioms begin with the letter D! You can find other idioms here at the main page of idiom meanings on this site. Idiom meanings starting with letter "D"
dawn on someone: to suddenly understand, to be clear to someone. Example: It finally dawned on my wife that our youngest child was taking money from her purse... read more. 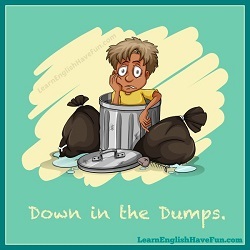 More English idiom meanings starting with the letter "D" will be added in the future so check back again soon or sign-up for my free newsletter so you can know when there are new updates. Which idiom meanings are easiest/hardest for you? The best way to learn—and remember—idiom meanings is to practice using them. Which are your favorite expressions from the list? Try to write a sample sentence below in the comments. Have your say about what you just read! Leave me a comment in the box below. 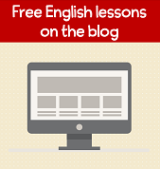 Copyright © 2013-2019 Learn-English-Have-Fun.com. All rights reserved.